“A middle-aged man in a sportcoat and beret, a man who didn’t look in any way unusual but turned out to be insane…came to the mike and said that the government of Michigan has a mind-control machine and influences brainwaves and that not even wrapping roll after roll of aluminium foil around your head with only the tiniest pinpricks for eyes and breathing stopped from influencing brainwaves, and he says he wants to know whether if McCain is president he will use Michigan’s mind-control machine to catch the murderers and pardon the Congress and compensate him personally for 60 long years of government mind control, and can he get that in writing. The question is not funny; the room’s silence is the mortified kind. Think how easy it would have been for a candidate here to blanch or stumble, or to have hard-eyed aides remove the man, or (worst) to make fun of the guy in order to defuse everyone’s horror and embarrassment and try to score humour points with the crowd, at which most of the younger reporters would have probably fainted dead away in cynical disgust because the poor guy is standing there at the mike and looking earnestly up at McCain, awaiting an answer. Which McCain, incredibly, sees—the man’s humanity, the seriousness of these issues to him—and says yes, he will, he’ll promise to look into it, and yes he’ll put his promise in writing, although he “believes they have a difference of opinion about this mind machine,” and in sum he defuses the insane man and treats him respectfully without patronising him or pretending to be schizophrenic too, and does it all so quickly and gracefully and with such basic human decency that if it was some sort of act then McCain is the very devil himself. The episode belongs to a primordial past, before McCain cozied up to the Republican Party over the war in Iraq, and before this year’s campaign pressures and before his choice of Sarah Palin as a his running mate– a decision that pleased the Christian base, while alienating everyone else. Crucially, the Michigan town hall ‘moment’ happened before McCain handed the running of his political life over to Steve Schmidt, a leading graduate of the Karl Rove school of cynical bad faith. Transfer the focus to our election campaign in New Zealand and the Maori Party is starting to look a bit like John McCain – ie, like decent folk at risk of losing their bearings, the closer they get to ultimate power. If McCain loses, he will have the rest of his life to get back in touch with the human being who has gone MIA during the past eight years. He might even resume his lifelong efforts to liberalise immigration, which he shelved to pursue a campaign pitch for tougher border security. The Maori Party may not get the same chance, if they screw up this current election opportunity. For weeks, the opinion polls have pointed to the possibility that the Maori Party could end up in the kingmaker – or queen maker – role, once the election night votes are counted. When and if the gap between the major parties tightens up, National’s only trusty allies for a coalition of the willing would be Act and United Future – and that may not be enough to govern in a Parliament likely to have an overhang, of around 124 seats in all. Enter the Maori Party, seeking policy gifts. Much more so the Greens, the Maori Party has been able to credibly promote the notion they could support either Labour or National. To date, keeping distance from Labour has seemed like a reasonable tactical ploy, to enhance the Maori Party’s own pitch for the list vote. To that end, the Maori Party have pursued a “plague on both their houses ‘ strategy, drawing upon the genuine historical grounds for grievance among Maori, towards both of the major parties. So far, they have not been able to take their own supporters with them on that journey. According to this morning’s Marae Digipoll results in two electorates, Maori would still overwhelmingly prefer a ruling relationship with Labour. Barely a quarter ( at best ) of those polled favoured going into an arrangement with National. These poll results are not due to mere historical sentiment. The problem for the Maori Party is that there is no credible way it can do better for its supporters under National – especially during a period when Maori families and workers will be staring down the barrel of a major economic recession that they are likely to feel first, and hardest. For any minor party, the grim reality is that post-election negotiations are really the political equivalent of a one night stand. They can be exciting at the time, but the fun part quickly fades, leaving the minor parties with the need ( over the next three years ) to justify the consequences of their dalliance. Is it really possible for the Maori Party to win the sort of substantial and cumulative gains from National that could justify propping them up in government – and if so, what could such gains possibly look like ? Particularly in the areas of employment, income, health, education and housing that are critical to Maori living standards. Of course, the Maori Party may not have to face this dilemma in its coldest and clearest form. The election outcome may not place the Maori Party in the sole, decisive role. It may be only one of several options on the table for Labour or National, and the Maori Party may even have to clamour, and bid for attention. Similarly, the ensuing coalition arrangements can take many different forms. In descending order of closeness, they can entail a formal coalition ( as Labour currently has with the Progressives) an agreement to support on confidence and supply ( as with New Zealand First) or an agreement to abstain on confidence and supply, as the Greens currently do. One of the self correcting beauties of MMP is that the proximity to the major party can heighten the pay-off in policy, but the toll on the minor party’s separate identity is then correspondingly greater. Under MMP, supping with the devil is never a free lunch. So lets look at what the Maori Party could possibly gain from lending its support to the National Party. The first two goals are highly symbolic ones. In reality, they may offer little of substance. 1. Entrenchment of the Maori seats. 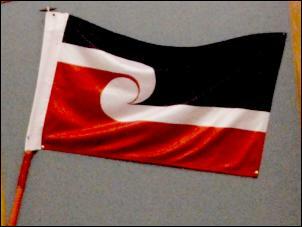 Supposedly, the National Party aims to hold a general referendum on the future of the Maori seats, once the treaty settlement process concludes in ( cross your fingers and hope) about 2014. Lets leave aside, just for the moment, the dubious morality of allowing the majority to make a decisive call on whether the rights of a significant minority in New Zealand should be extinguished. If the Maori seats were to be protected by constitutionally entrenching them, this would mean that a 75% level of support in Parliament would then be needed to scrap them. Fine. Yet even so, entrenchment would be only a shallow victory, for two obvious reasons. One, the battle seems unnecessary. John Key has already obliquely signalled that he would consider amending National’s stance on scrapping the Maori seats, if need be. More to the point, National poses the only substantive threat to them, anyway. Therefore, lifting this phantom threat would produce no substantive gain, and be of no practical advantage for Maori workers or their families. It would be the epitome of the one night stand victory – producing headlines and bragging rights for a day or so, but with no tangible ‘follow through’ benefits. 2. Scrapping the Foreshore and Seabed Act. If National needs Maori Party support to govern, would they agree to scrap this much reviled legislation? That would depend on how much of a gambler Key feels like being – and on whether he feels his government could devise a piece of legislation able to satisfy Maori aspirations, while ensuring non-Maori felt their rights were being equally protected. Good luck on that. Turia: …[National] did say they would have some difficulties with full repeal. What we are prepared to do is talk with anybody about how the legislation may well look. But what we are not prepared to accept is that every other New Zealander would have a right to the courts, a right to justice on property rights. The National Party actually gives me the gripe, because they rabbit on about people’s property rights but they only see it as for white people. And I do resent that. Property rights are something all of us have. Trevett: At the last hui you were talking about amendments to it, rather than full repeal. Turia: I would prefer to repeal and then sit down and look at what it is we really want out of this. There are not large areas of the seabed and foreshore still in Maori hands. When the government put this in place, it might have been only 10 per cent. Why would you go to this extent?…. For the Maori Party, the risk is that any initial euphoria could quickly fade into a war of attrition over the detail – in a context where they would then have few cards left that could affect the result, short of bringing down the government. Re-opening the Foreshore and Seabed debate therefore, would be fraught with the risk for the Maori Party of under-delivering, while for everyone else, it would mean general instability. It is unlikely a National Party government would entertain even the perception of being held to ransom on such an issue. That leaves the real battlegrounds – of health, education, welfare and income. Already, Maori Party Co-Leader Pita Sharples has stressed that health, education and welfare will be his party’s main priorities in any post-election talks, and the Maori Party is already touting specific policies in those areas during the election campaign. They include the removal of GST from food, the abolition of all income tax on incomes below $25,000, and a universal child benefit that would ( presumably) be able to be capitalized for housing loan purposes. The Agenda TV programme has already costed this package at about $5 billion. In reality, a National government could move only a small way towards meeting those goals. Taking GST off food is not a practical option. Probably, the child benefit policy offers the most likely room for movement, subject to cost. On health, education and welfare the Maori Party appear to be envisaging a major constitutional re-arrangement based on the Treaty, which will deliver more resources, and more autonomy on how those gains are to be delivered. The details of just how this freshly invigorated Treaty partnership would work have yet to be spelled out. Clearly. the intention is to go beyond simply holding the Maori Affairs portfolio- which Turia, during her Herald interview earlier this month, largely discounted as being only a policy ministry. For their part, National are putting precious little on the table as to how a deal with the Maori Party could be made more palatable to Maoridom. Where the two parties do currently cross over is on the issue of welfare. Turia has recently restated her interest in scrapping the dole. This is part of the ongoing Turia/Sharples critique of welfarism, first clearly stated by Sharples over 18 months ago. While the corrosive effects of chronic welfare dependence are easy to denounce, any merely punitive approach ( ie, removing the safety net ) would be socially irresponsible. All the evidence from the 1990s – the last time that National tried to tackle welfare dependency – shows that make-work schemes that replace the dole do not work. Besides being expensive to run, such schemes have been shown to actually make it less – and not more – likely that the people subjected to them will go on to find real jobs. To date, Turia has been vague about what she thinks should replace the dole, and how much it might cost. Her preference seems to be for real jobs along the lines of the old PEP schemes, but situated this time in infrastructural projects, such as roading. Bad timing. The domestic economic recession and the current global financial instability are likely to postpone the kind of infrastructural investment she is talking about, and on which the Maori Party’s anti-welfare edifice currently depends. It would take an imminent total collapse – and the reversion to 1930s style work camps – to bring forward a sufficient number of infrastructural projects. In sum, the gains for Maoridom from a governing relationship with National look to be illusory. Nothing tangible is in the offing to compensate for the likely downsides of keeping a National government in office. To name only a few, these would include : a more punitive approach on law and order, on benefit entitlements and in the sphere of industrial relations. It would signal an end to the hikes in the minimum wage on which Maori workers disproportionately depend, and little or no gains for most Maori families from the regressive tax cut programme that the National Party has already announced. Income inequality, with all of the negative social effects that this brings in its wake, would be likely to return to the 1990s rates of increase. The Maori Party would be justifiably crucified by its supporters, it it was abetting such trends. As a side effect, such outcomes could also compromise some individuals within the Maori Party, in the same way that a similar deal with National would threaten party unity among the Greens. The likes of Hone Harawira and Sue Bradford have spent their lives establishing their credibility and their commitment to working people – and a deal with National could wipe out such reputations, virtually overnight. Like the Greens, the Maori Party may just have been bluffing about National all along, in order to broaden their voting catchment during the election campaign. The Greens have now made their preference pretty clear. Perhaps the Maori Party should come clean, and state their own preference – while leaving plan B as the less desirable option that could be revisited with caution and with full consultation, if need be. Because right now, any tactical advantage from playing hard to get ( vis a vis Labour ) is only compromising the Maori Party’s reputation for principle. Its supporters are smarter than that, and deserve better. After all….it is always risky to give your core supporters nightmares and stomach lurches, merely in the hope of luring a few stray fish in your direction. There are sharks out there as well, and does the Maori Party really want to be inviting them to come swimming into its net?